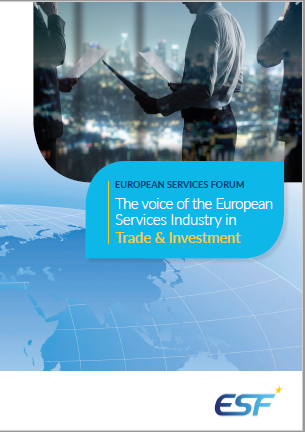 WTO negotiations | "The Voice of the European Services Sectors in International Trade"
The WTO provides a forum for negotiating agreements aimed at supporting international trade in goods and services. The goal of the WTO members is to increase their countries’ economic welfare by reducing any barriers to trade. 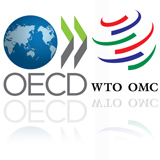 The WTO also provides a legal and institutional framework for the implementation and monitoring of these agreements, as well as for settling disputes arising from their interpretation and application. Currently, the WTO monitors 16 mulitlateral agreements, to which all WTO members are parties, and two plurilateral agreements in which only a few of the WTO members participate. The trade in services negotiations take place within the framework of the Doha Development Agenda (DDA). The GATS Treaty …. Material to better understand the framework of the GATS negotiations such as the text of the General Agreement on Trade in Services (GATS), and the services’ sectoral classification (CPC) lists. The WTO trading partners’ schedules of commitments submitted during the previous services negotiations within the framework of the Uruguay Round. The WTO members’ commitments under GATS Mode 4. Mode 4 relates to natural persons who aim at providing any services in a hosting country. It is particularly important to services providers. The GATS negotiating proposals tabled by the major trading partners in 2001 within the framework of the DDA, country by country, sector by sector. The GATS negotiating proposals provide the basis for the DDA negotiations. They show each country’s position, which will lead them in drafting their requests vis-à-vis the other countries. According to the Doha Ministerial Declaration, the GATS Requests were to be tabled by the WTO members by 30 June 2002. The trading partners were then to start bilateral negotiations and to table their own Offers, by 31 March 2003 at the latest. Negotiations were provided to continue up to 1 January 2005, the deadline for concluding the whole set of WTO negotiations in a single undertaking. The text of all country specific requests to 109 countries sent by the EU on 30th June 2002. The existing available revised offers. If you are aware of any further available offer, not listed on this website, please contact the ESF Secretariat.